fresh branded point back chatons, china top quality availbale in surface finish ab with high quality foiling. our rhinestone sheet and rhinestone cup chain are in yiwu city. can be used for clothing accessories, diy jewelry accessories, bags and shoes and other decorative accessories! - each crystal has four holes so can be sew onto fabric, or stick on with glue. When your payment is received ,you will receive a positive feedback from us . If you are satisfied with the purchase and our toal service, your comment is very important in our business success. We will do our best to choose the most reasonable delivery term for you. 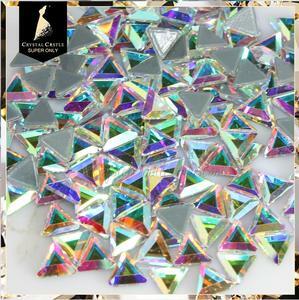 Product Categories 1 ) New custom rhinestone sheet 2&#65289;Can be used to garment accessories , bags and scarves so on 3&#65289;Can accord with the EU and the United States standards 4&#65289;Can be customized as your request with different sizes, colors, patterns. Trade assurance Order is well appreciated , If you have other prefer payment pls kindly let us know . For the shipment , we will do it as your request . 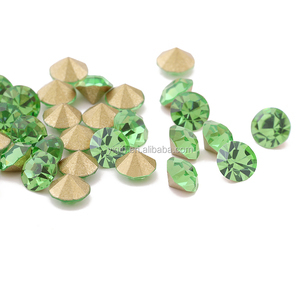 our dmc hot fix rhinestone products item name wholesale bulk loose rhinestones flatback dmc hot fix rhinestone material glass bead. we have attended turkey istanbul fair, russia moscow fair, china hongkong fair, china shanghai fair, bangladesh dhaka fair and so on. 3 YRS Yiwu Renqing Ornaments Co., Ltd.
3) The quality that our company supply contains Korea and china. 4)Samples are available for free but our company pay the freight charges . 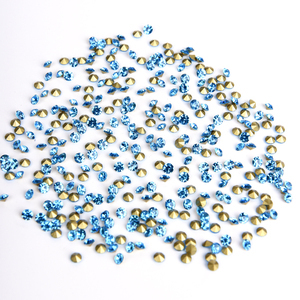 Easy heat transfer 7)Our company have hot fix lead free rhinestone! Item Name: Non Hotfix Rhinestones/Nail Art Rhinestones Color: Crystal AB Style : Flat Back Shape : Round The Back: Silver Foiling Material: Crystal Glass Technics: Non hotfix,Glue on Packing Detail: 1440pcs (10 Gross) / Bag Available Sizes: ss3, ss4, ss5, ss6, ss8, ss10, ss12, ss16, ss20, ss30, ss34, ss40,ss50 Available Colors : Clear/Crystal, Jet, Black Diamond, Light Sapphire, Sapphire, Cobalt, Blue Zircon, Aquamarine, Peridot, Green, Olivine, Emerald, Jonquil, Smoked Topaz, Light Amethyst, Amethyst, LT.COL. TOPAZ, Topaz, Montana, Hematite, Aurum, Ca-pri Blue, Sun, Tanzanite, Citrine, Hyacinth, Light Siam, Siam, Violet, Light Peach, Rose, Light Rose, Fuchsia, Silver, Rainbow, Crystal AB, Jet AB, Black Diamond AB, Light Sapphire AB, Sapphire AB, Blue Zircon AB, Light Aquamarine AB, Peridot AB, Olivine AB, Emerald AB, Jonquil AB, Smoked Topaz AB, Light Amethyst AB, Amethyst AB, LT.COL. TOPAZ AB, Topaz AB, Montana AB, Ca-pri Blue AB, Sun AB, Tanzanite AB, Citrine AB, Hyacinth AB, Light Siam AB, Siam AB, Light Peach AB, Rose AB, Light Rose AB, Fuchsia AB, etc. Specialist in Garments Accessories We can find everything for customer in the line of garments accessories. 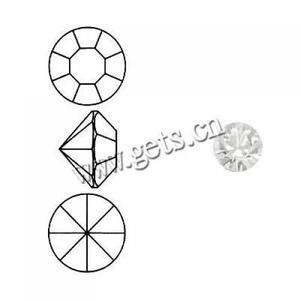 Attaching on Pearl We also sell sewing on rhinestone and attaching pearl. or it is 15-20 days if the goods are not in stock, it is according to quantity. effect pure clear color gold yellow ab iron rhinestone care turn inside out, choose a gentle wash cycle and use mild laundry detergent. care iron inside out using a silk/polyester/ viscose setting. 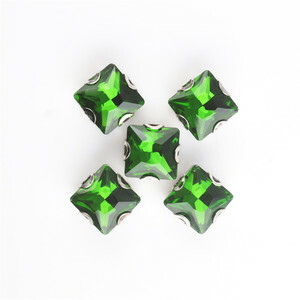 Alibaba.com offers 30,272 glass rhinestone yiwu products. About 38% of these are rhinestones, 1% are tattoo sticker. 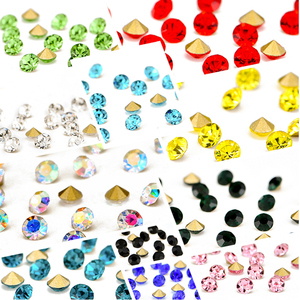 A wide variety of glass rhinestone yiwu options are available to you, such as glass, crystal, and acryl. You can also choose from bags, garment. As well as from free samples, paid samples. 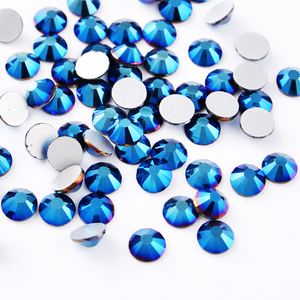 There are 30,272 glass rhinestone yiwu suppliers, mainly located in Asia. 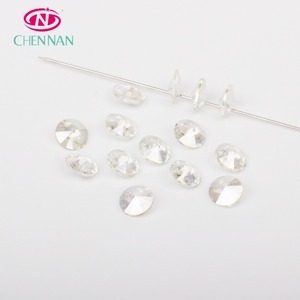 The top supplying country is China (Mainland), which supply 100% of glass rhinestone yiwu respectively. 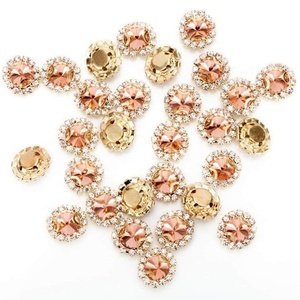 Glass rhinestone yiwu products are most popular in North America, South America, and Western Europe. You can ensure product safety by selecting from certified suppliers, including 6,580 with Other, 1,682 with ISO9001, and 149 with BSCI certification.